We work with visionary founders of early-stage startups to amplify their potential. 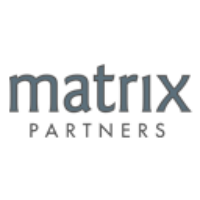 General Partner @MatrixPartners. Growth & product guy. Previously at Square, Google, and Slide. Sourcing, applicant tracking & more: Lever’s modern web app supports the way you hire. Co-Founder & CEO of Kinnek. I’m passionate about small businesses, I love mangoes, and I’m listening to “This Is How We Do It” by Montell Jordan right now. Target. Hunt. Disrupt. These are thoughts from the @SqrrlData team on CyberThreat Hunting, Behavioral Analytics, and Machine Learning for Enterprise Security. We work to better ourselves and the rest of humanity.